If you have a house with unrepaired sinkhole damage, we can help you. Our firm has been buying and selling property in Florida for nearly 20 years now. 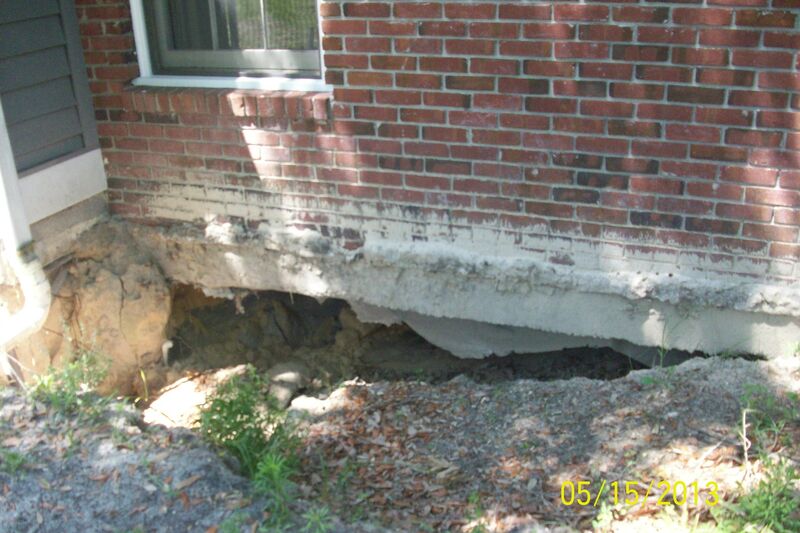 We have successfully helped people with sink hole damaged homes all over the State of Florida. – Stair step cracks in the concrete blocks. – Larger than normal cracks in driveways and walkways. – Potholes or even larger holes in the ground. – Seperations between the walls and ceiling. – Cracks in the drywall or wall tiles. – Doors and windows that stick or close on their own. – Sloping floors – roll a ping pong ball on them. Instead of trying to fix your house, why not settle with the insurance company and then sell to a firm that specializes in these. Take the money to move into another home. Fixing a home properly involves underpinning and/or grouting underneath which can be very expensive costing in the tens of thousands to hundreds of thousands of dollars. Let us take on this task. For piece of mind and a fair offer, give us a call. We buy sinkhole homes anywhere in Florida including: Tampa, New Port Richey, St Petersburg, Spring Hill, Homosassa Springs, Leesburg, Ocala, Gainesville, Clermont, Lakeland, Orlando, Kissimmee, Deltona, Lake Mary, and more. Let’s make a deal.